The skin is the largest eliminatory organ in the body, which is why pet skin and coat problems are often the first indicators of poor health and substandard care. Yet, almost every pet suffers from some sort of skin condition. 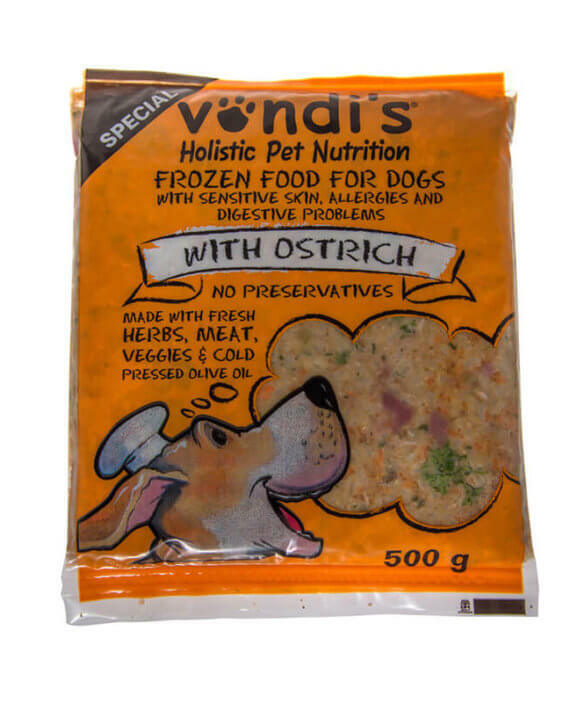 Vondi’s has a special range of food for pets with skin conditions, called SPECIAL CHICKEN and SPECIAL OSTRICH. 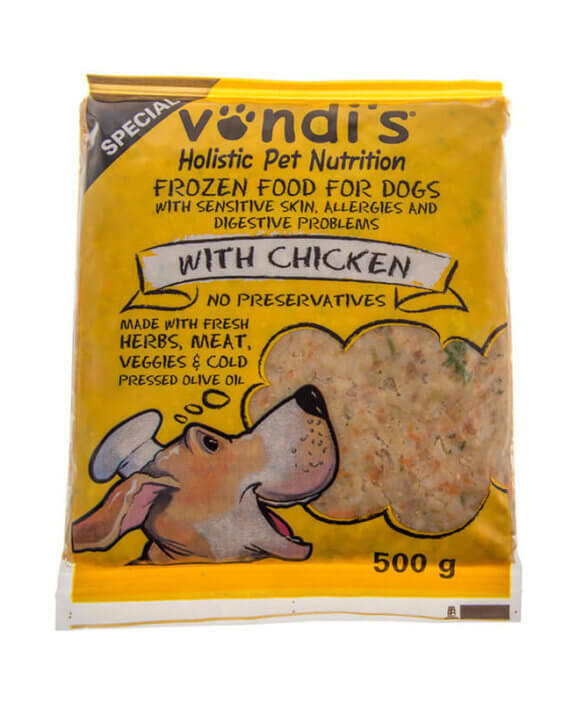 This natural, preservative-free diet that is enriched with cooling herbs (lemon verbena, lemon balm, borage, a variety of sages and a variety of mints), which is ideal for pets with skin allergies, skin sensitivities or digestive problems.